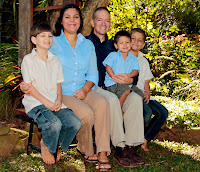 My sister and brother-in-law, Ruth and Steve Hersey, are missionaries serving at Quisqueya Christian School in Haiti. I've been trying to call them ever since I heard about the powerful earthquake last evening, but haven't been able to get through yet. is down. Little phone contact. No internet at school or home. we'll get communications back soon. Many teachers involved in search and rescue. We are OK, but please keep us in your prayers. They will be dealing with an overwhelming amount of need over the next few weeks. They already live in a hugely needy place, and now the little that many people have has been taken from them. we immediately thought of your sister when we heard the news! we're praying!